Papuan activist groups that plan to commemorate on the region’s proclaimed independence by Papuan leaders on 1 July 1971 are facing intimidation tactics by the Indonesian military. There are reports of pressure from the Indonesian military on Papuan activist groups ahead of a planned rally in the provinces tomorrow [1 July 2014]. July the 1st marks the day in 1971 when Papuan leaders proclaimed the region's independence from Jakarta. 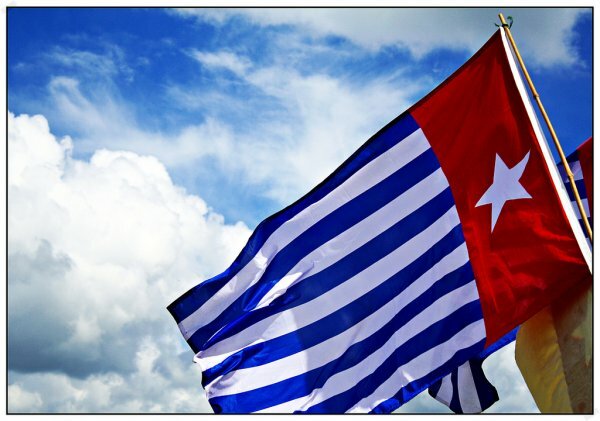 The Free West Papua Movement was planning activities in Jayapura, including hoisting the Morning Star flag. But the Antara News reports Major General Christian Zebua saying soldiers will shoot any independence supporters who attend. A spokesperson for the Australia West Papua Association, Joe Collins, says the intimidation tactics by security forces belie Indonesia's claim of being a democracy. He says the activists' freedom of opinion and expression is being quashed.